Japan is an amazing destination that offers stark contrasts on many fronts. It is a country where modern skyscrapers co-exist side by side with temples; where technology is extremely advanced and progressive, but nature is highly respected. If you ever make it there, the best way to take in the country is to embrace everything that it has to offer – Nature, temples, urban attractions, and historical landmarks . One thing to keep in mind is that Japan is much more expensive than people think, and many are rudely awakened when they arrive and see what the costs of accommodation is. The best bet is to rent an apartment and use it as a home base to see local attractions. There are many places to stay in Japan, so make sure you do your research beforehand. Here is a list of some of the top things not to miss on your amazing trip to Japan! Without a doubt, one of the top reasons to visit Japan is to experience Mt. Fuji. This iconic natural landmark is Japan’s tallest mountain. It is revered for its perfect conical shape. Every year, around 250,000 make the climb to its summit. The best time to attempt the climb on Mt. Fuji is between the July and August (mid-summer). However, if hiking isn’t your thing, Mt. Fuji is visible from many places, particularly from Kanto, Tokyo. The mountain is most visible from Kanto during the winter. Two more mountains you should consider on your itinerary to Japan are Hakusan and Tateyama. Along with Mt. 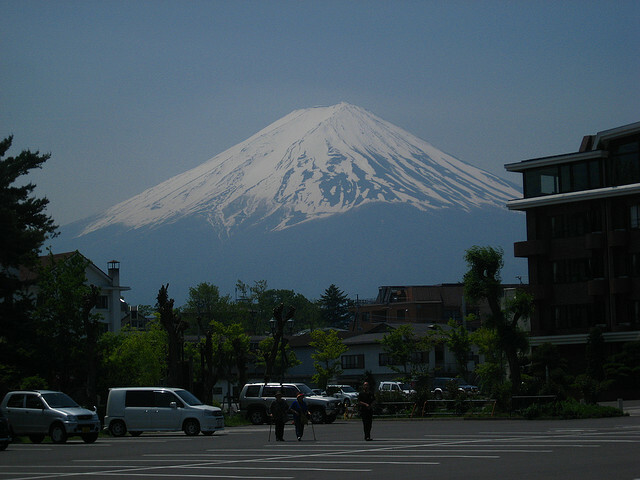 Fuji, they comprise Japan’s three holy mountains. Ginza, a neighborhood in Tokyo, is also a UNESCO World Heritage Site and one of the Japan’s major tourist attractions. It embodies the hip, modern and urban atmosphere of Tokyo. Ginza is within walking distance of the Imperial Palace and other renowned historical landmarks. The Matsumoto and Himeji Castles are fantastic historical landmarks that are a must on your Japanese itinerary. They showcase different eras of the Japanese Empire. Between the two, Himeji Castle is older. It was built from 1333 to 1346 and expanded from 1601 to 1608. It is better known as the “White Heron Castle”. Matsumoto Castle was built a bit later, around 1504. Locals refer to as the “Crow Castle”. Much of this castle remains intact despite its long live. Like Himeji, it is one of the 12 castles in Japan that are still in original condition. Last but not certainly not least is Kinkaku-ji, or the Golden Pavilion. Found in Kyoto, it is one of the most attractive sights in Japan. Kinkaku-ji has clean ponds and pine trees spread throughout the park and at the middle is a temple. The Temple of the Golden Pavilion is not so old as it was constructed in1955. The temple that came before it was built in 1397, but was burned down in 1950 by a radical Buddhist monk. These are just a few suggestions of the top things to check out in your vacation so think outside the box!